Halogen lights were once the standard in the world of cars. They were cheap,effective and lasted a long time. In 1991, BMW released the e30 – 7 Series with new technology, xenon headlights. Xenon lights also known as HIDs appear to be a very similar set up for the halogen system. But hid example features a ball is filled with xenon gas and a metallic salt. When a current is passed through the electrodes, the xenon gas amplifies the light and reacts with the salt to make a stable and bright light. Throughout this results in lights around 2 or 3 times brighter than the equivalent halogen bulb and gives off a pure white blue glow. As opposed to the often yellow color an equivalent halogen bulb color temperature is measured in Kelvin and that’s what you often see tacked on to the end of an HID bulbs. Rating a little over 5000 K is where the zalim range usually begins with a white light and can range all the way up to30,000 K with a deep purple blue. Matrix multibeam or intelligent lights are something that you may have heard more and more about in recent years. 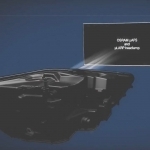 The core purpose is still the same a set of lights so smart that you never have to dip or dim your high beams. Because the car knows when and where to do it. A camera mounted in the car analyzes the road ahead and looks for cars, people and even road signs. Once it identifies that there’s something there, it sends a signal to the lights which in the case of the Audi a8 or a series of 32 LEDs. 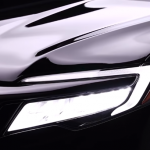 The LEDs can precisely tell where the beam of light will hit turning off or dimming, the beam with up to 64 stages of dimming in the area that hits the oncoming car, thus allowing you to keep driving with your high beams illuminating but also not blinding oncoming drivers. 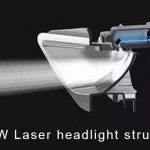 Laser light – a technology you may have heard more and more about in recent years while many manufacturers are still testing their systems costs such as the Audi r8 LMS and the new BMW 7-series. They work a blue laser sits in the housing and shines forward onto a lens filled with yellow phosphorus. This converts that potentially harmful ray of laser light into a broad beam of intense white light. That can be projected onto the road in the case of BMW, this takes none step further by directing three laser beams into mirrors which enter aprism this combines into one beam thengoes through the yellow phosphorus and then offer a reflector to the final beam. This results in an even safer friendlier to the eyes beam that will still work incredibly well the lights are some 30% more efficient than LEDs and could illuminate up to nearly 2,000 feet around double laven LED equivalent.